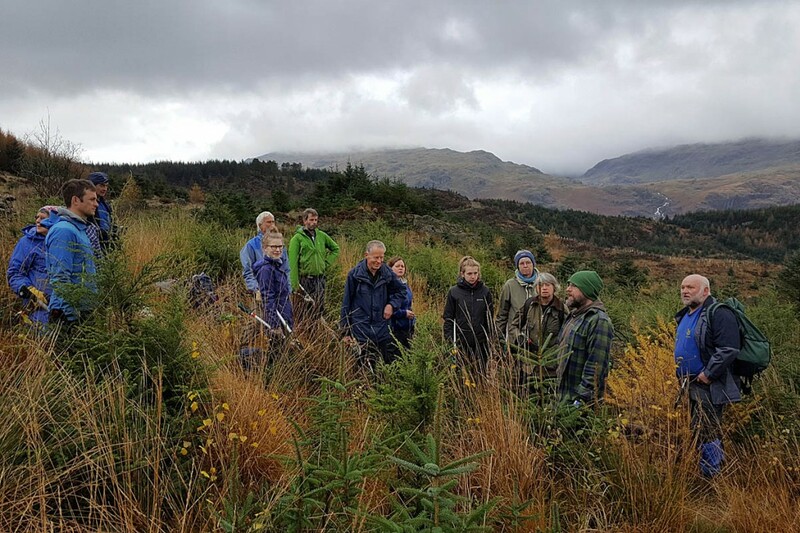 The Friends of the Lake District event in the Duddon Valley involved 91 people, working to restore and improve the landscape on a range of projects. Vegetation along 100m of forest footpath cleared. The volunteers and staff from the Friends also collected a bag of litter. Ruth Kirk, organiser of the event said: “It was truly rewarding to see so many happy, tired, smiling, mud-streaked faces at the end of day sharing tales over a brew and a slice of cake – or three. “Our fell care days bring together people of all ages and abilities from near and far, all with a shared purpose to put something back into protecting a landscape they love. The National Trust, Lake District National Park Authority, Forestry Commission, Restoring Hardknott Forest Project and Fix the Fells all supported the event, and cake to fuel the volunteers was donated by Ginger Bakers and David Willan Fine Foods from Kendal. The Friends of the Lake District said they will stage more fell care days in 2019.